I have a couple weeks worth of camera/instagram photos and I noticed many of them followed a theme. 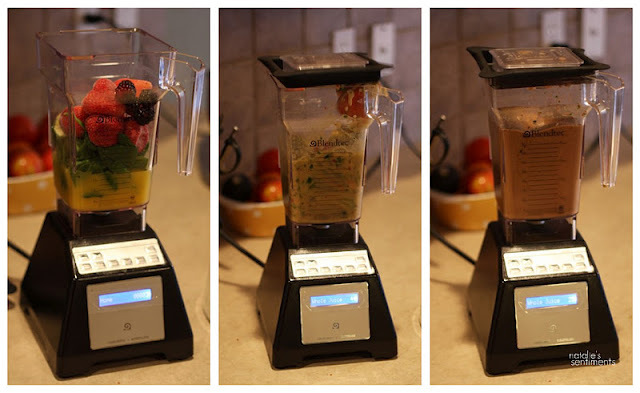 I love doing this because it's crazy easy, the kids love it and they end up eating a lot of healthy yums. Here's a tip that seems to work really well for us. Give this to your kids when they are watching TV. Normally we don't eat meals in front of the TV. Actually, we never do. Okay, Shane and I do, but only after the kids are asleep. When I put a tin full of healthy food in between my kids while they are watching a show, this food disappears like it's Doritos from a bag. Though it's fun picnic style too. Also, try giving your kids celery while they watch "Wonder Pets" and they will gobble it right up. You will have to watch Wonder Pets to know what I'm talking about, but it totally works. 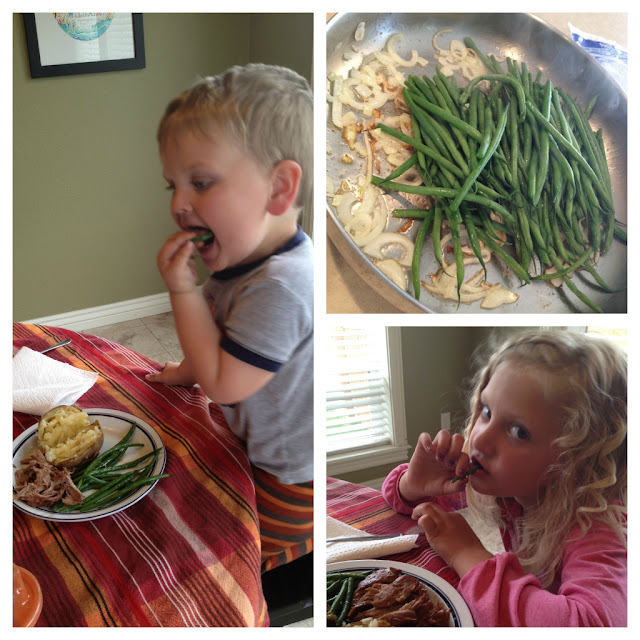 Our family favorite = Sauteed Harticot Verts. My kids like certain veggies certain ways. I've had to learn what they are and stick to the popular choices. They want nothing to do with raw broccoli. See vintage post about that here. They will eat cooked broccoli any day. Their very favorite (mine too) are haricot verts sauteed in olive oil and onions. I get this recipe request all the time, which is pretty great since it's so simple. 1st - Use Haricot Verts (thin French green beans). Totally different veggie from regular green beans. 10 times better. You can find them at Costco, Sam's club and most grocery stores. Steam them until almost done. I use a steamer bag. 2. Slice a half a yellow onion and saute in 3 tablespoons (or so) olive oil. It sounds like a lot, but it's olive oil. (i.e.good for you) Sprinkle with salt and garlic powder. I would use fresh garlic if it was just for Shane and I. Kids complain about "spicy" garlic. 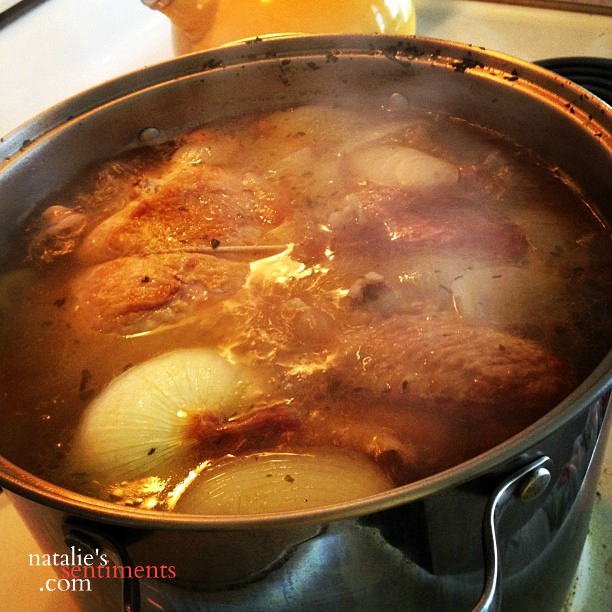 Once onions have started to brown, add the beans and saute until they are tender, just a couple minutes. Be prepared to say "You have to eat something on your plate other than the green beans!!" 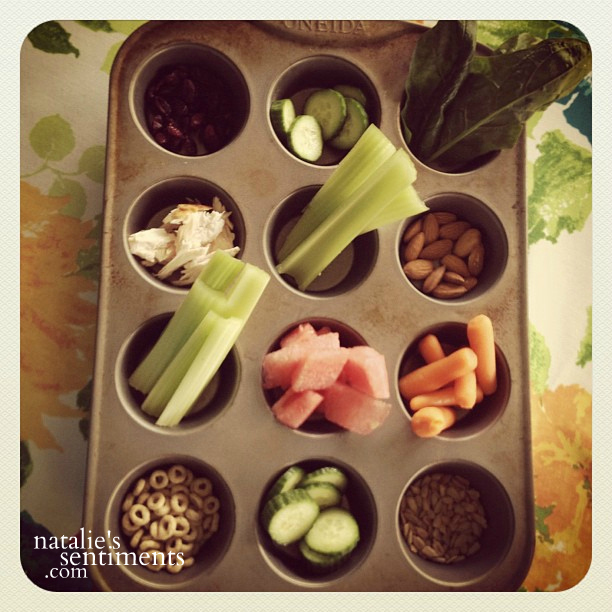 I've posted about this before, but I love starting our day with veggies! This recipe is great. This is really really easy. Not easy like "oh, I made this cute dress and matching tights, and it was so easy!" No, this is actually easy. As long as you are buying a rotisserie chicken every couple weeks, you probably have everything else you need in the fridge. This tutorial is good, but cook for 6+ hours, not 4. And if you only have dried herbs, that works fine in a pinch. 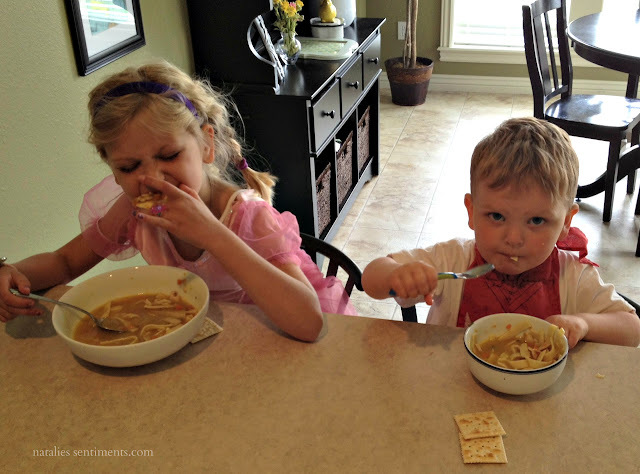 Soup made with homemade stock is soup kids eat. All those veggies that made the stock....all those veggies in the soup. Yay for mommy. 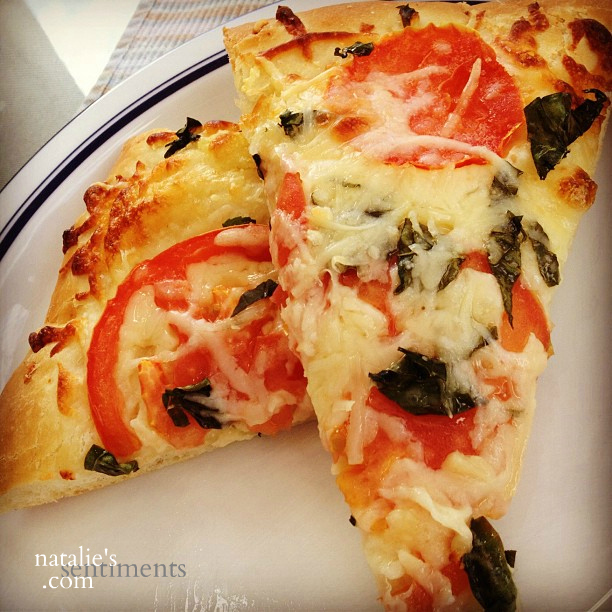 A great way to get veggies into your kids is just to smash fresh tomatoes to a pulp and smear it on the crust like sauce. Add salt and a little garlic (if your kids like it) and cheese. They get pizza, and you know they are getting real tomatoes. The above pizza is the grown up version Shane and I have. Offer veggies in new and fun places. One of my favorite ways to get the kids to eat their carrots, cucumbers and carrots is to offer them when they normally wouldn't get food. For us, the top place is the bath. I know, sounds nuts, but when I give them a bowl of cut veggies in the bath they love it and usually ask for more. What's funny is usually it's the very same veggies that they didn't eat at dinner time. 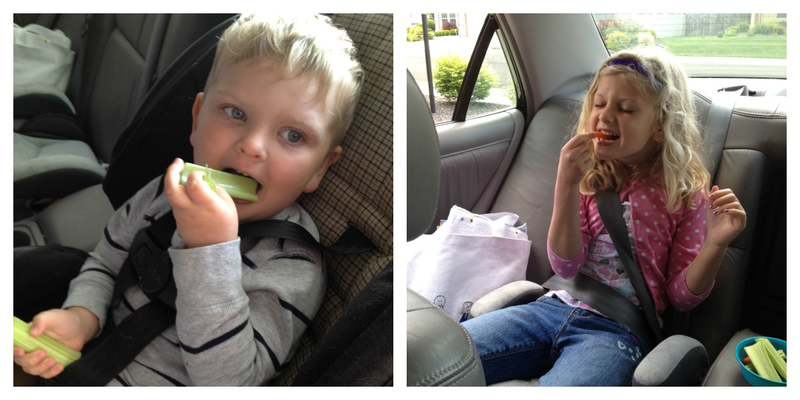 In the car is another great place for crudites munching. I mean, what else are they going to do? I participate in Bountiful Baskets. Not only is it a great bargain for really wonderful food, but I get to introduce new veggies and fruit to the kids every week. And when I take them with me to pick up, they get excited to try everything out. Kale! Lychee! Persimmons! Beets! Ok, we all hate beets. I've tried them for the last time. Everyone knows this little gem. 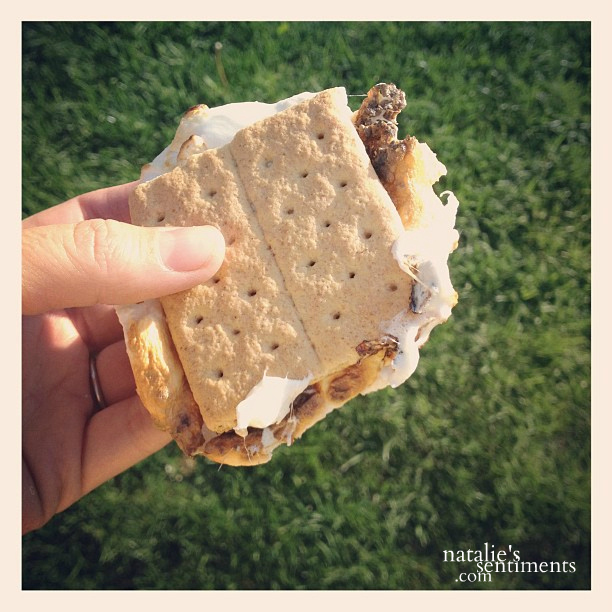 But I wanted to include this smore photo. Shane makes the best smores. Really, he's a smore genius. Eat some "smore" zucchini sweetheart, and you can have a gooey smore outside! 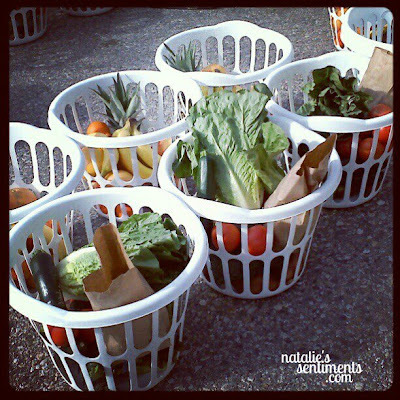 What do you do to get your kids to get their veggies? Follow me on instagram - natssentiments. I am a big fan of veggies. I love all of your tips and use quite a few of those techniques myself. Two more: Have kid help plant and tend for a garden. Eating beans, peas, tomatoes, and berries fresh from the garden is the best! Sometimes I serve three veggies at dinner and tell them they must try two. One veggie everyone likes, one is something new or rarely eaten, and at least one is dark green. Works well for us! Something you mentioned to me once, in passing: kids eat almost anything if they can "dip" it. Paige loves all veggies (and just about anything else as well, in Toasted Sesame Asian Salad Dressing. Works every time. "More dip?"